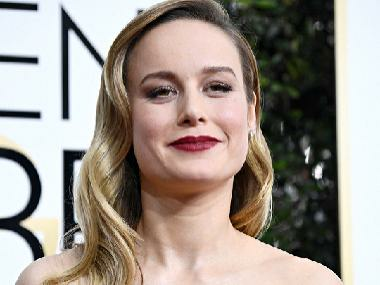 Captain Marvel has continued to dominate the global box office in its second weekend in theaters, leaving newcomers in the dust. Walt Disney Studios estimated on 17 March that the intergalactic superhero fell only 55 percent from its record-breaking opening. This weekend, Captain Marvel earned an additional $69.3 million from North American theaters and $119.7 million internationally, bringing its global grosses to $760 million. Closer home, the film has been receiving a stiff competition from Sujoy Ghosh's suspense thriller Badla, which surpassed the second weekend collections of the Marvel movie by a large margin. While Amitabh Bachchan and Taapsee Pannu's film amassed Rs 18.30 crore in its second weekend, the Brie Larson-led film earned Rs 14.35 crore in the domestic box office. #CaptainMarvel gains a strong foothold in Weekend 2, despite mixed reports... Absence of major film/s proves advantageous... Eyes ₹ 75 cr+ *lifetime biz*... [Week 2] Fri 3.15 cr, Sat 5.30 cr, Sun 5.90 cr. Total: ₹ 70.76 cr. India biz. Gross BOC: ₹ 84.22 cr. With a total collection of Rs 70.76 crore in two weeks, Captain Marvel is eyeing for a Rs 75 crore lifetime business in India. The film witnessed a sharp decline in its box office performance in the second week. However, Captain Marvel has already surpassed the lifetime grosses of a slew of superhero films including Justice League, Captain America: The Winter Soldier and The Amazing Spider-Man. In a very distant second, Paramount’s animated family film Wonder Park struggled with $16 million against a reported $100 million budget.